Colombian officials and coca growers reached an agreement on Wednesday to temporarily halt the forced eradication of coca, the base ingredient of cocaine, in the northeast of the country. The protests, which blocked the main road between the city of Cucuta and the nearby town of Ocaña, were organized on Saturday in response to efforts by Colombian anti-narcotics and anti-riot police to forcibly remove coca plants in the Catatumbo region. Organizers of the protest claimed the police did not give farmers a chance to voluntarily remove and substitute their crops before arriving to pull them up. The protest in the Norte de Santander region is part of a growing set of protests against forced coca eradication in other parts of the country. According to a peace agreement between the FARC and the government, small coca farmers are supposed to be given the opportunity to voluntarily substitute their crops through the National Crop Substitution Program before the police forcibly remove the plants. But protesters claim there was no coordination between the Crop Substitution Program and the anti-narcotics police, who have been under pressure from the United States to step up forced eradication. We will continue protesting until the Government suspends eradication and begins implementing what was agreed in Havana… We campesinos do have the will to substitute our crops. 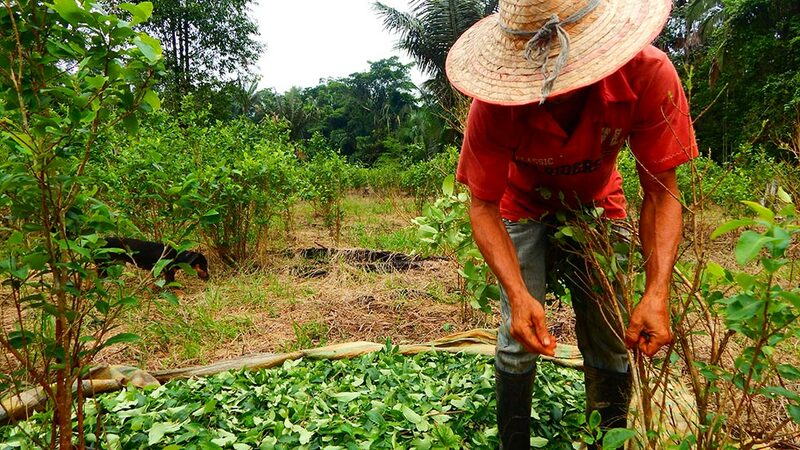 According to the United Nations, the Norte de Santander department has the second highest amount of coca crops in the country, at 25,000 hectares. On September 12, the day before US President Donald Trump threatened to “decertify” Colombia, Defense Minister Luis Villegas announced that coca eradication in the Norte de Santander province was a major priority. The Defense Minister’s announcement seemed to overshadow concurrent news that over three thousand families in Tibú, a city in the Catatumbo region of Norte de Santander, had just agreed to voluntarily remove their coca and switch to alternative crops. According to the Silla Vacía, even after these families signed their substitution agreements, anti-narcotics police seemed to ignore the agreements and continue eradicating their coca crops by force. This disconnect between police and crop substitution officials is not limited to Norte de Santander. Similar clashes between coca growers and authorities have been reported in Nariño, Cauca and Caqueta in recent weeks, all threatening the credibility of Colombia’s ambitious effort to remove 100,000 hectares of coca in a sustainable manner by the end of the year.